Tips on the best vlogging camera with flip screen you can find on the market at the moment. Why Choosing A Camera With Flip Screen? 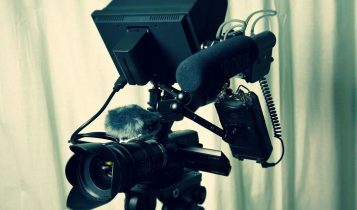 Video-blogging, or vlogging, has proven to be one of the most engaging forms of communication on today’s web. Vloggers often use YouTube, personal blogs, and other video-enabled platforms to share vlog entries about their lives, opinions on current events and pop culture topics, reviews, and even educational videos. The number one tool you’ll need to run a successful vlog is a high-quality vlogging camera. Read on to discover which camera is best for vlogging and learn more about the differences in vlogging cameras. There are several important features to look for when purchasing a vlogging camera. You’ll need to find a camera within your price range that’s tailor-made for the type of vlogs you intend to create. For example, if you’re going to be recording outdoors, you should consider purchasing a vlogging camera with a splash-proof coating for extra protection. The inclusion of a flip screen is also a must-have feature for vlogging cameras because it allows you to see what’s in the frame while you’re recording. Flip screens also eliminate the need for a second person to operate the camera. 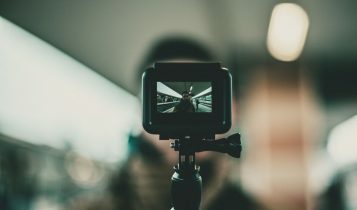 Not all flip screen-equipped vlogging cameras are the same, however, so browse through this list of the best vlogging cameras in 2019 to see which device best meets your recording needs. The Canon G7X Mark II is, without a doubt, the best vlogging camera on the market today for most vloggers. With a 20.1 Megapixel sensor, the Canon G7X Mark II is capable of shooting full HD video at 60 frames per second (fps.) This camera boasts an impressive 3-inch touch-screen LCD, 5472 x 3648-pixel image resolution, and 17x zoom capabilities. Vloggers will also appreciate the high-definition audio this camera is capable of recording, as it eliminates the need for touching-up your audio tracks with post-production software. 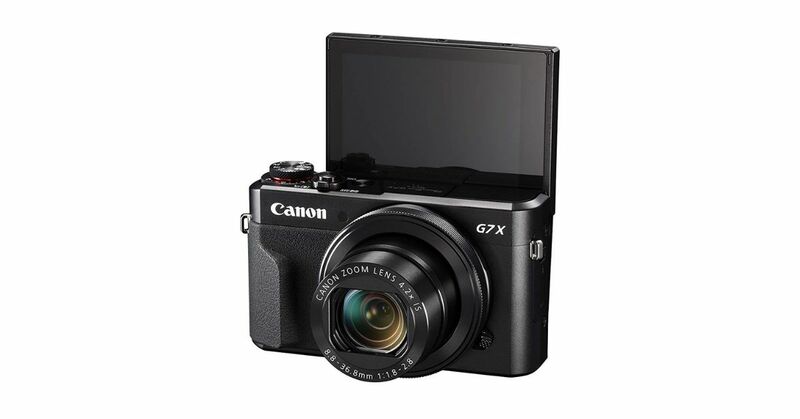 The Canon G7X Mark II has built-in WiFi for easy uploading to YouTube and other vlog platforms and has no problem filming in low-light conditions thanks to its built-in image stabilizer and flash mode. This camera packs a lot of power into a slim, compact body with a sliding flip screen. You can expect DSLR-quality recording and images from this easy-to-carry vlogging camera thanks to its high megapixel sensor and proprietary DIGIC 7 image processing system. If you’re serious about vlogging and want to make a name for yourself as a professional vlogger, then the Canon E0S 80D is a great choice for you. This vlogging camera has all the power you’d expect from a commercial-level DSLR, and it boasts an impressive 24.2 Megapixel CMOS sensor that can film the finest of details in your vlog studio. 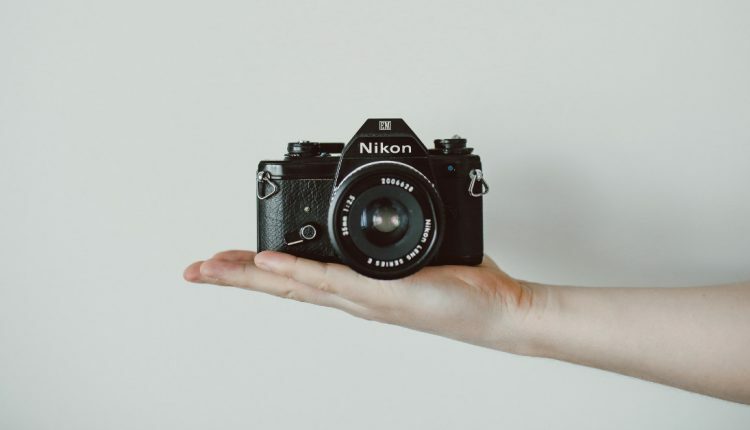 Every vlogger needs a high-quality camera, not only for recording vlog videos but to take images for thumbnails and inserts to be used throughout their productions. 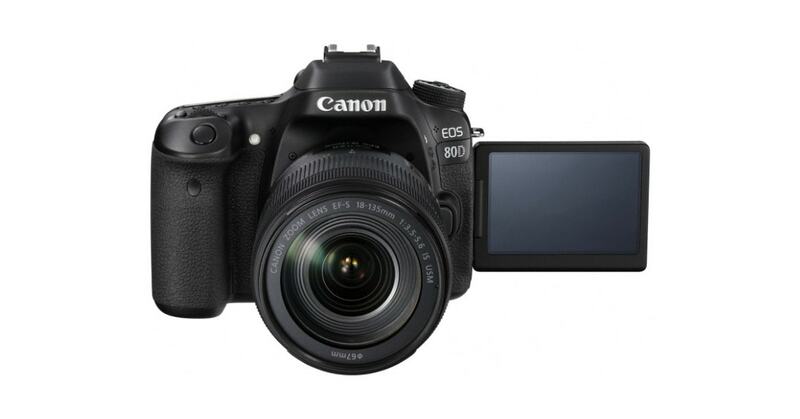 The Canon EOS 80D is the perfect camera for both images and videos and also happens to record audio in clear, HD format. In terms of pricing, the Canon EOS 80D runs quite a bit more than the formidable Canon G7X Mark II but offers the opportunity to use interchangeable lenses. The Canon EOS 80D takes the guesswork out of focusing on its enhanced autofocus system that highlights areas of important focus live while recording. 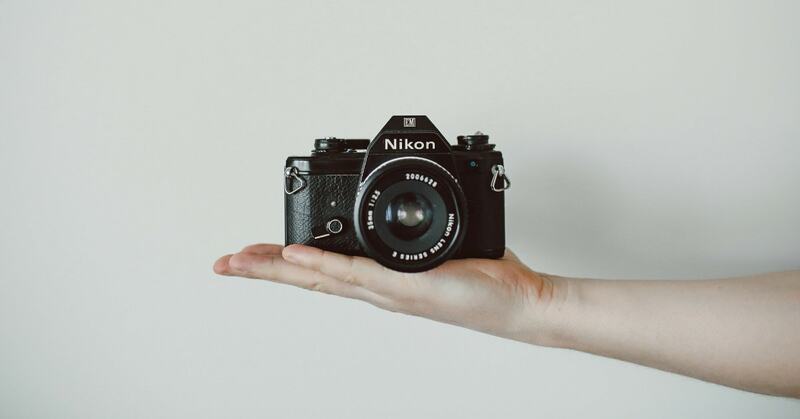 While the ‘Canon’ brand has become synonymous with professional and semi-professional videography, it isn’t the only leader in the vlogging camera marketplace. Sony, in fact, has a solid reputation among vloggers for its high-quality flip screen cameras that lend themselves perfectly to various vlogging applications. The Sony DSC-RX100 V is a mid-range professional digital still camera that countless new and already-famous vloggers rely on. The Sony DSC-RX100 V has a 20.1 Megapixel (MP) image sensor and can capture HD video at lightning speed. In fact, this vlogging camera with flip screen features can shoot high-def videos at 960 frames per second, making it a must-have if you’re going to add slow-motion clips to your vlogs. This vlogging camera from Sony uses a 3-inch flip screen and has WiFi for instant uploads to your favorite vlogging platform. 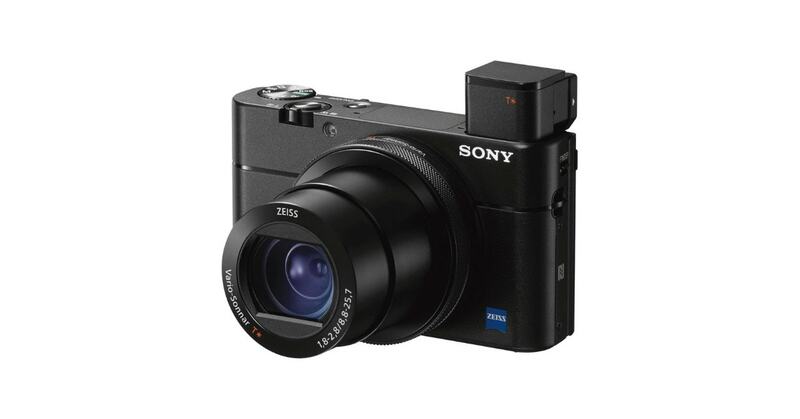 In the world of vlogging, Sony is known for making quality cameras accessible to the public, and the Sony a5100 is a prime example of this company’s worthy product line. 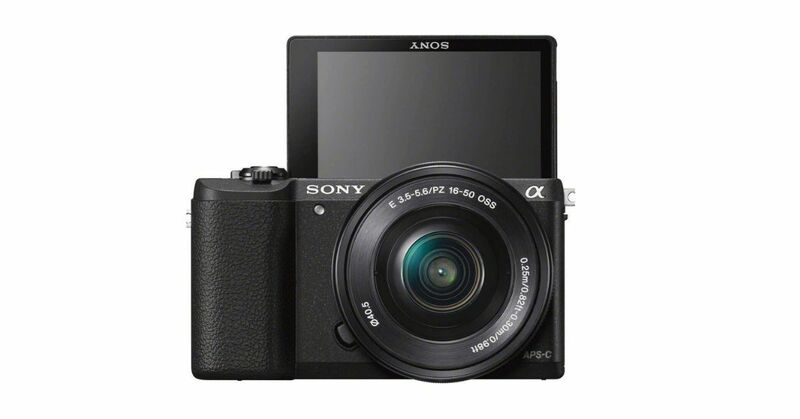 The Sony a5100 is a mirrorless digital camera with a pop-up flip screen and a convenient interchangeable lens system. This camera has been rated favorably among high-profile vloggers, many of whom are especially pleased with its fast automatic face detection, 24 Megapixel sensor, built-in WiFi, and 1080 HD video recording mode. In terms of quality, this camera from Sony isn’t just a cheap vlogging camera with a flip screen, rather it’s a surprisingly affordable tool for anyone seeking to share their lives and stories with a broad audience. This Sony camera comes with a rechargeable NP-FW50 battery and easily connects to any laptop or device equipped with standard USB ports. For those who want to record in 4K and have the budget for a higher-end vlogging camera, the Panasonic Lumix G85 is a great deal. This feature-rich vlogging camera with flip screen options is a little smaller and lighter than your average DSLR, making it convenient for vloggers who take their cameras on-the-go. The Panasonic Lumix G85 has a 16 MP imaging sensor, records 4K video, and can even take photos in 3D using the MPO file format when equipped with a compatible lens. Panasonic is a solid tech company with a good reputation among vloggers. 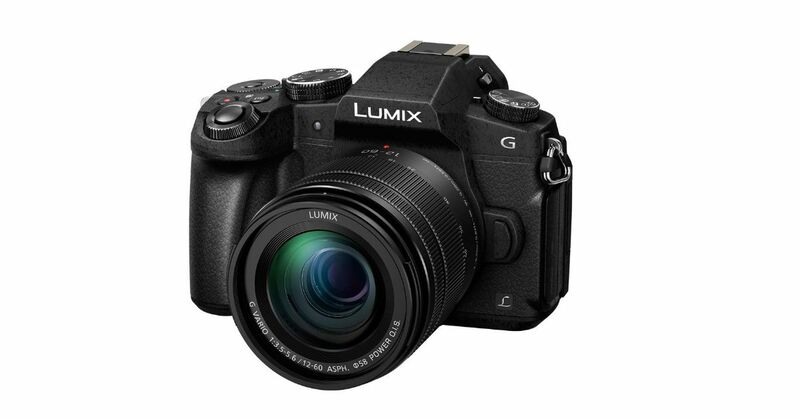 The Panasonic Lumix G85 is a great example of how technology can go to work for you and make your video blogs look professional and true-to-life in picture quality. This camera is weather-proof and can withstand light rain and typical outdoor conditions that you may encounter when vlogging about your day. The Panasonic Lumix G85 uses a built-in TTL flash for perfectly-lit photos and video and comes equipped with a standard 3.5 mm headphone jack, which is great for testing the true quality of your audio before you get back to your workstation. If the Panasonic Lumix G85 sounds appealing but you’re on a tighter budget, then you should consider the impressive Panasonic Lumix G7. This camera captures stunning 4K video vlogs and high-def audio at the price of a cheap vlogging camera. 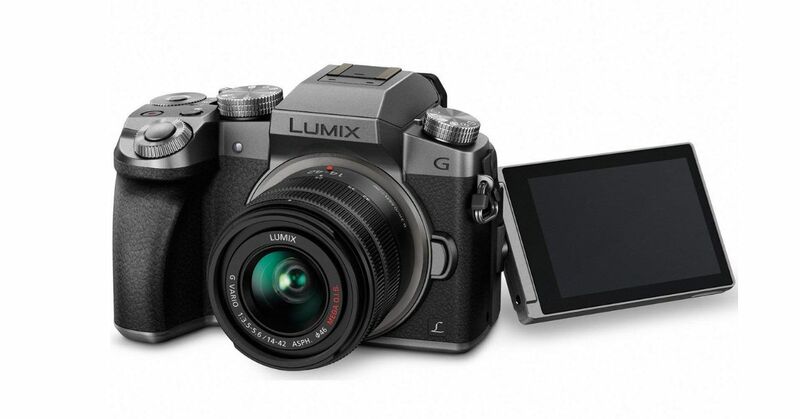 The Panasonic Lumix G7 is a mirrorless 16 MP camera with a flip screen and reliable automatic face detection. Professional and new vloggers alike love the Panasonic Lumix G7 for its compact design, high-tech face tracking software, and fast focusing features. This camera has integrated WiFi for easy uploading and even takes photos and image bursts in 4K for your vlog stills and thumbnails. This is a great mid-range choice for vloggers looking for a deal on 4K recording equipment. 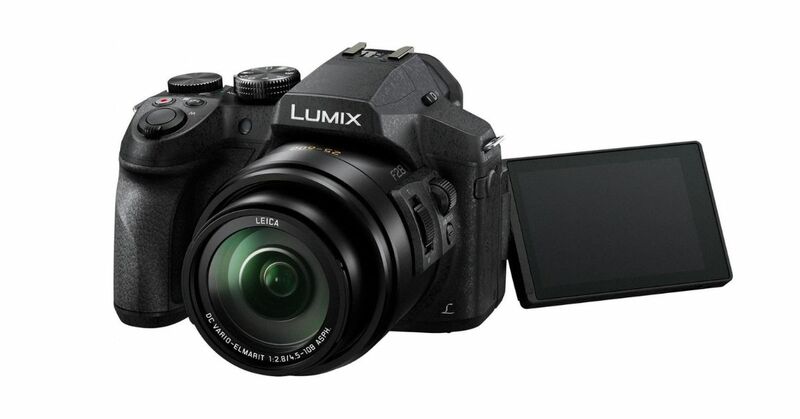 The Panasonic Lumix FZ300 is an excellent choice for vloggers looking for a mid-range solution for vlog recording equipment. This camera contains a 12.1 MP image sensor, a pull-out flip screen for viewing your recordings live, and a 24x zoom lens. Panasonic is a household name in digital media and the Lumix FZ300 lives up to the company’s positive reputation. This camera is handy for those who film outdoors and in less orderly environments because it has a durable body with dust and water-protectant coating. You can film vlogs in high-def 4K with the Panasonic Lumix FZ300, which also records crystal-clear audio and true-to-life photos. This vlogging camera has a flip screen with touch-menu options which is super convenient if you’re filming selfie-style vlogs. The Panasonic Lumix FZ300 has a unique 5-axis image stabilization mode so you don’t have to worry about your vlogs coming out shaky, even if you’re not using a tripod or happen to be filming in a moving vehicle. If you’ve ever owned a Nikon digital camera then you know what kind of top-notch quality to expect out of the new Nikon D5600. This camera is capable of recording full 1080 HD video and can film vlogs in clips lasting up to 29 minutes each. Vloggers using modern laptops and mobile devices have come to appreciate this device’s internal Bluetooth bridge, which can transfer media wirelessly with the help of some universal drivers and common applications. 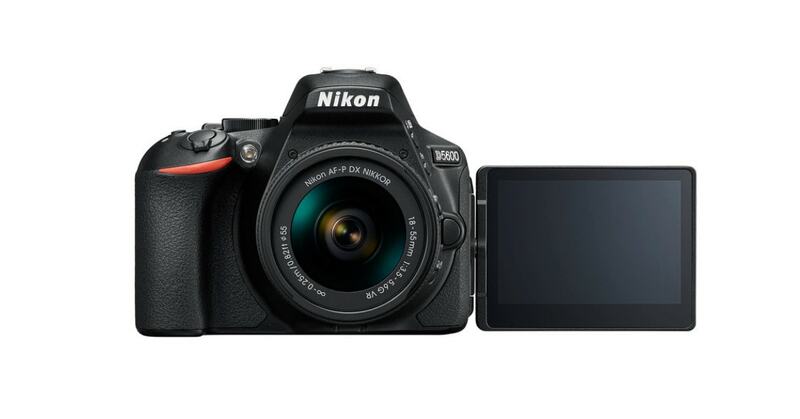 The Nikon D5600 also has a built-in WiFi chip with NFC features. You’ll find that the 24.2 MP CMOS imaging sensor in the Nikon D5600 is more than capable of capturing the perfect vlogs, even in less-than-optimal lighting conditions. 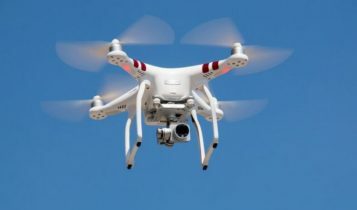 This camera also records video at 60 fps for those wanting to create the smooth, movie-quality recordings that can even be used in slow motion without quality degradation. The flip screen on this camera is touch screen enabled and works perfectly in selfie mode for vloggers who want to keep an eye on the video framing as they record. This camera is compatible with all Nikon F-Mount lenses and has a rugged, splash-resistant body with an easy-grip coating. The main reason – it will make your life easier. The use of a camera with the flip up screen will definitely improve your filming experience. By using the flip up screen, you can see yourself while filming. You can control your look, your position, the background. It is like looking in the mirror. VIDEO QUALITY – The future of YouTube is 4K. It´s coming, but no everyone is using it yet. The most used picture quality is still 1080p. Even DSLR cameras priced at well under $1000 have full 1080P video recording capability nowadays. Where is the difference between 4k and 1080p? The most important difference between these two formats is the resolution. 1080p is labeled as High Definition (HD), while 4K is known as Ultra High Definition (UHD). The resolution of 4K is 3840 x 2160 pixels, 1080P offers 1920 x 1080 pixels. Put is simple, 4K gives you video with better details, it allows the viewer to be positioned much closer to a large screen while enjoying a clearer picture, and the ability to scale down to a lower resolution without a lowering a video quality is also the huge advantage of 4K. FRAME RATES – Picking what frame rate you are going to film it is one of the most important decision YouTube vlogger have to make. FPS, frame rate per second, simply means how many pictures the camera is taking every second you film a video… at 30fps, 1 second of video you are seeing 30 individual frames. Mostly 30 frames per second or below is fine for casual shooting, for slow-motion – more frames per second you have, the better. OPTICAL IMAGE STABILIZATION – This mainly depends on a type of video you do. Still, we are sure that nobody wants to see shaky videos. Optical image stabilization (OIS) helps you keep your image stable even if you are moving around. This feature is handy if you are holding your camera in your hand while you film. If you want to bring more stabilization to your videos, what about to invest in a handheld gimbals. MICROPHONE OPTIONS – Most cameras on the market have a built-in mic, but truly said, they are just average quality. If you need better sound, while shooting in a loud environment with a lot of noise in the background, you should consider adding an external microphone. Therefore finding a vlogging camera with a 3.5mm jack or hot shoe option, is a huge plus. LOW LIGHT PERFORMANCE – If you are going to filming your vlogs at home, get a camera that has a good low-light performance. Most indoor situations can be qualified as low-light. If the camera does not have good performance in low light, it will reduce its frames per second and it will show image noise.